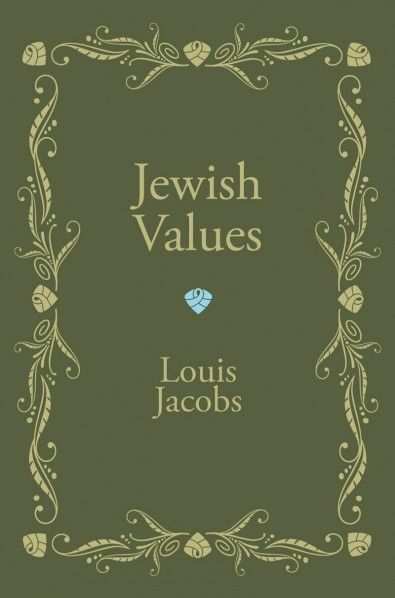 This section contains a non-exhaustive selection of book reviews written by a broad range of authors, including academics and rabbis, offering critical comments on the works of Rabbi Louis Jacobs. You can view the cover picture and a brief blurb of all relevant books, arranged in order of date of publication, in the list below. Please click on the picture to access the reviews written about the book. 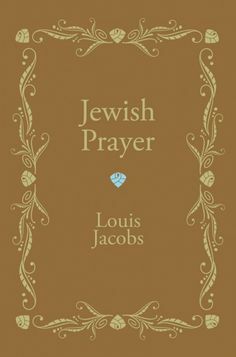 A short and eminently accessible book, the first written by Louis Jacobs, on the subject of Jewish prayer. We Have Reason to Believe. London, 1957. This book examines the basic beliefs of Judaism in light of modern thought. Its shape is traditional but not fundamentalist. This book, the main cause of the ‘Jacobs Affair’ in which the author’s appointment to an Orthodox Rabbinic position was vetoed, suggests that the doctrine Torah Min Ha-Shamayyin (The Torah is from Heaven) needs to be reinterpreted so as not to be in conflict with modern knowledge. The controversy erupted again in the 1990s when Chief Rabbi Jonathan Sacks declared that those who hold views similar to the author’s have severed links with the faith of their ancestors. → Read reviews of We Have Reason to Believe here. It is Rabbi Jacobs’ thesis that a gap exists between traditional views as presented in the classic sources of Judaism and their application in contemporary life; he is convinced that this gap can be bridged. → Read reviews of Jewish Values here. Tract on Ecstasy. London, 1963. Dobh Bear of Lubavitch (1773-1827) assumed the leadership of the Habad on the death of Schneor Zalman of Liady. The tract is in the form of a letter he sent to his followers, advising them on the role of ecstasy in the religious life. He argues that there is no such thing as a depersonalised state of contemplation. Rather, the power and validity of contemplation is to be observed in the degree of ecstasy it induces. 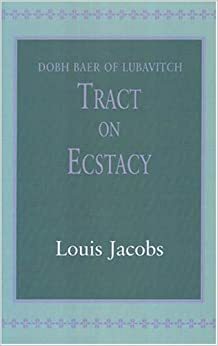 Dobh Baer refutes the charge that because ecstasy involves self-awareness it is a betrayal of Habad teaching, and provides a penetrating analysis of the degrees of true ecstasy. → Read reviews of Tract on Ecstasy here. Principles of the Jewish Faith. London, 1964. All the fundamental tenets of Judaism as expressed in the Thirteen Principles of Faith laid down my Maimonides are subjected to a brilliant, courageous interpretation – a major work. 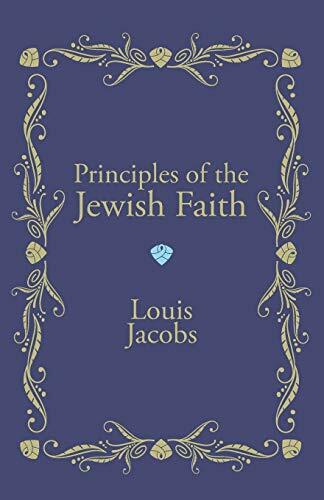 → Read reviews of Principles of the Jewish Faith here. 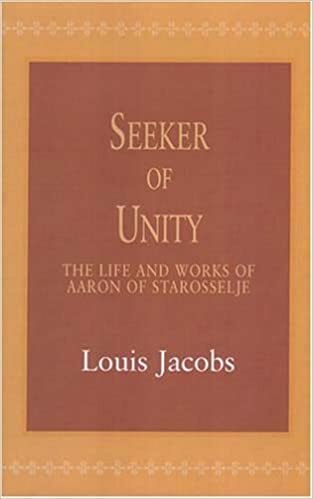 Seeker of Unity: The Life and Works of Aaron of Starosselje. London, 1966. 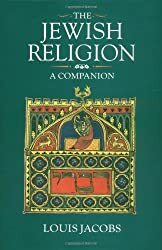 This book deals with the life and thought of an original but neglected religious thinker who, perhaps more than any other in the history of Jewish thought, grappled with the problems inherent in the idea of God’s unity. Rabbi Aaron Horowitz is generally acknowledged to be the most outstanding, systematic exponent of the profound Habad theory of Hasidism. With the renewed interest in Jewish mysticism in general and Hasidism in particular, this work can serve as an excellent introduction to the more intricate and stimulating ideas of the Movement, normally to be found only in recondite tomes written in difficult Rabbinic Hebrew and therefore beyond the scope of even serious students of the subject. One of the most striking features of the book is the way it demonstrates that there is a close affinity between Habad thought and Far Eastern spirituality. Dr Jacobs has succeeded in bringing a vanished world to life for the modern reader. → Read reviews of Seeker of Unity here. Jewish thinkers throughout the ages have been as passionate in their concern about the meaning and nature of faith as their Christian counterparts. This book provides a profound but lucid examination of Jewish theological approaches to belief. Of special interest is Dr Jacobs’ critique of the Freudian and Marxist opposition to belief in God. → Read reviews of Faith here. From its very beginnings, the hasidic movement was suffused with a joyous enthusiasm and optimism derived from the notion of God being in all things. This led to an insistence on joy as an essential element in divine worship and a distinctive attitude to prayer. In this classic work, Louis Jacobs examines the hasidic rebbes’ works and records preserved by their disciples. Copious quotations from these writings form a sound basis for his masterly analysis and enable the reader to gain a familiarity with Hasidic thought on the subject of divine worship at first hand. 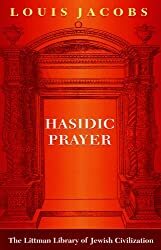 → Read reviews of Hasidic Prayer here. A Jewish Theology. London, 1973. A systematic, chronological study by one of the world’s leading Jewish theologians. A masterly guide to the major currents of Jewish thought. → Read reviews of A Jewish Theology here. Theology in the Responsa. London, 1975. 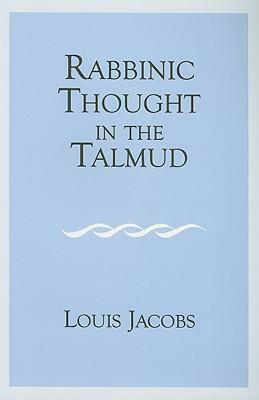 In this volume, unrivalled in its treatment of the subject, Louis Jacobs examines those responsa in which theology is considered and highlights the changes that have occurred in the theological principles affecting the rabbis’ attitudes to such questions as life after death, reward and punishment, and the problem of suffering. → Read reviews of Theology in the Responsa here. Jewish Mystical Testimonies. Jerusalem, 1976; New York 1978. 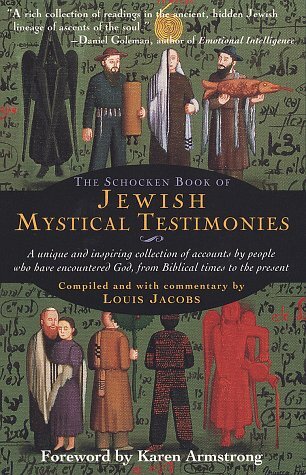 Jewish Mystical Testimonies brings together the few accounts we have by Jewish mystics of their encounters with the divine. The sources collected in this volume–spanning two thousand years and including material from Europe, North Africa, and the Middle East–include depictions of peak religious experiences and visions, examples of ecstatic prayer, and counsel on how to keep company with the divine. Supplemented with commentary by Louis Jacobs, one of the world’s most knowledgeable scholars of Jewish mysticism, these accounts offer an exciting new window on Jewish religious experience and inspiration to spiritual seekers of all persuasions. → Read reviews of Jewish Mystical Testimonies here. Every student of the Talmud is aware that a significant element in this major work of Judaic exegesis s the purely academic problem known as the ba’ya. The problem is always one of definition; two possible definitions are presented and they are so equally balanced that there is no logical reason for preferring one over the other. Teyku is an abbreviated form of teykum (“let it stand”) – the problem remains unsolved and stands for ever in a state of insolubility. 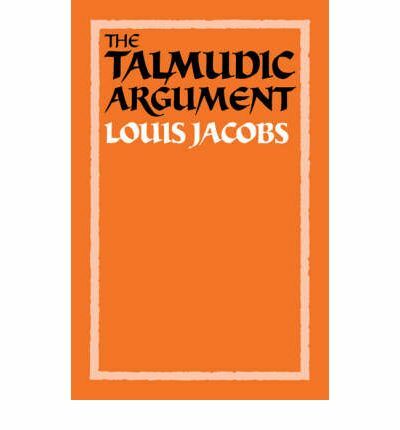 In this book, Louis Jacobs examines in depth this phenomenon of the unsolved problem in the Babylonian Talmud. → Read reviews of Teyku here. The Book of Jewish Belief. New York, 1984. The consummate confirmation course for the religious school. The sum total of what students should know about Jewish faith and values – presented here by one of the great theologians of our time. Reading Jacobs is like comparing notes with a wise friend who has wrestled with the same questions that have troubled you. An essential volume for every Jewish student. → Read reviews of The Book of Jewish Belief here. The Talmudic Argument. Camrbidge, 1984. This book examines in detail a number of typical lengthy passages with a view to showing how Talmudic reasoning operates and how the Talmud was compiled by its final editors. It serves as an introduction to the nature of this fascinating work on which the Jewish mind has been intellectually stimulated and nourished for over 1500 years. Original insights into the Talmudic debates are provided for the consideration of Talmudic experts but the work is intended chiefly as a guide to students who wish to obtain a more than superficial idea of what the Talmud really is about. → Read reviews of The Talmudic Argument here. 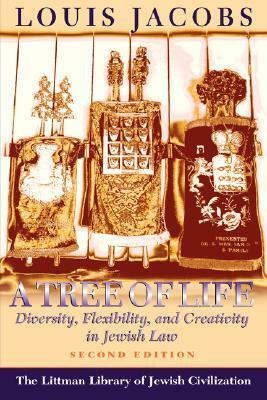 A Tree of Life: Diversity, Flexibility, and Creativity in Jewish Law. Oxford, 1984. Louis Jacobs’s fascinating study shows how halakhic rulings through the ages have been influenced by social, economic, theological, and even political factors as well as by consideration of the wider ideals and demands of Judaism. Halakhic responses to changed social considerations, particularly regarding women and questions of personal status, new technologies and discoveries, and attitudes to non-Jews are all considered in depth. → Read reviews of A Tree of Life here. 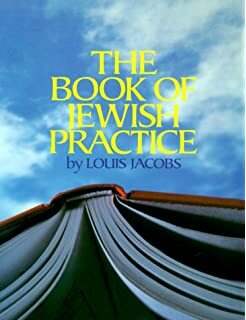 The Book of Jewish Practice. West Orange (NJ), 1987. A comprehensive and practical guide to Jewish ritual and custom. From holidays to Shabbat and Kashrut, from marriage to raising children to comforting those who mourn, from unethical business practices to unethical use of words. Step-by-step instructions for living an authentic Jewish life – straight from one of the great theologians of our time. Helping with Inquiries: An Autobiography. London, 1989. 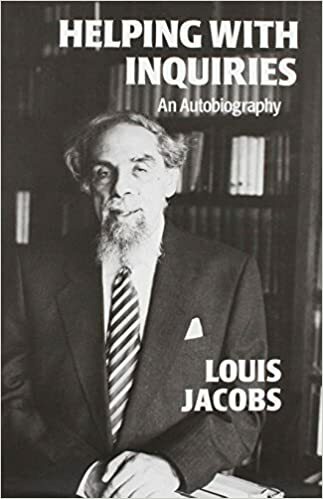 This book is crowded with fascinating portraits of the many people Jacobs met in his long career, especially in the Manchester Yeshivah, the Rabbinic seminary at Gateshead and at London University. It also traces his family’s origins in Eastern Europe, his boyhood in Penrose St. of Cheetham Hill, and the progressive stages of his pastoral and intellectual career. Above all, it gives the author’s first detailed account of the stormy controversy in which he was involved in the 1960s and 70s and which changed not only his career but possibly the subsequent climate of Jewish opinion in the English-speaking world. For all his restrained, relaxed manner and self-effacement the author does not shrink from criticism and emerges as a man of inner strength buttressed by the encouragement of an affectionate family and warm friendships. → Read reviews of Helping with Inquiries here. God, Torah, and Israel: Tradition- alism without Fundament- alism. Cincinnati, 1990. 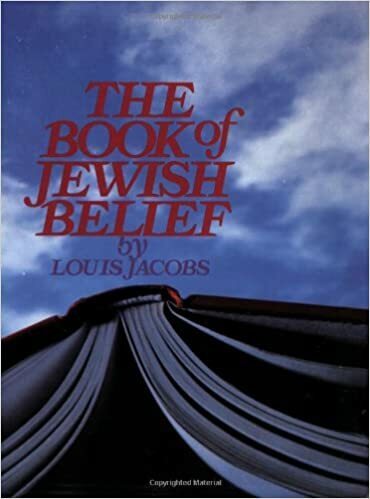 In these three lectures, Louis Jacobs defines and defends his position as a liberal supernaturalist and halakhic nonfundamentalist in those areas where the religious Jew is confronted with the conflicting truth claims of modern knowledge and traditional belief. 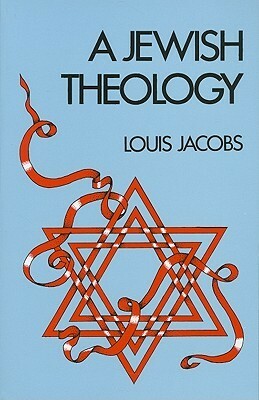 Jacobs begins by contrasting the theistic belief in a personal God with some of its alternatives; he argues that the liberal supernaturalist’s position is both the closest in approximation to the traditional Jewish view and still the most coherent way to deal with the fundamental mysteries of the universe. The second lecture explores the impact of modern science and scholarship on the doctrine of Torah min hashamayim, divine revelation of the Written and Oral Torah. 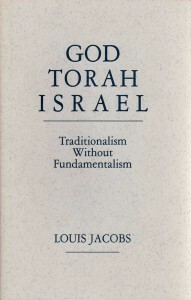 Jacobs argues that one can be objective without any sacrifice of piety if one accepts the premise that “the totality we call Torah is human imbued with the divine.” Finally, Jacobs discusses traditional interpretations of the doctrine of the Chosen People and examines some of the tensions it generates today in terms of interreligious tolerance, the Jewish people and the Jewish state, and the demands of the group versus the needs of the individual. → Read reviews of God, Torah, and Israel here. Holy Living: Saints and Saintliness in Judaism. Northvale, 1990. The Hebrew term hasid is most comonly associated with the hasidic movement, but it has much earlier origins. It refers to what may be described as the saint or saintly personality as found in Jewish history and tradition. Holy Living is the only in-depth study of this phenomenon. It offers a scholarly and sensitive portrait of the hasid as a theoretical type, and describes many individuals throughout history who have personified the essence of the hasid. 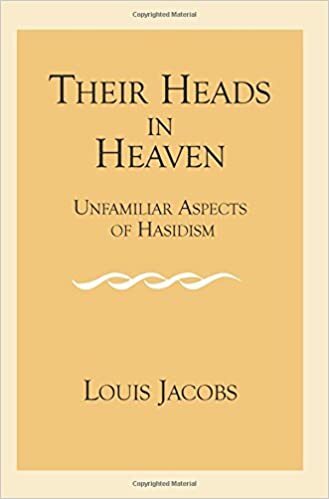 Louis Jacobs, prolific author and highly regarded rabbi and scholar, has combed the literature to present a rich profile of the hasid, which he maintains is a clearly identifiable type in Jewish life and thought. Drawing upon source material from Jewish literature and history–from the most ancient sources to present-day works–Rabbi Jacobs’s book is rich with information and inspiration. He also demonstrates the significance of saintliness for religions in general, and analyzes how Jewish saintliness resembles and how it differs from saintliness in other religions. → Read reviews of Holy Living here. Religion and the Individual: A Jewish Perspective. Cambridge, 1991. This study demonstrates that, for all the admitted emphasis on peoplehood within Judaism, there are equally strong individualistic tendencies. Dr. Jacobs maintains that in any balanced view of Judaism it must be shown that what the individual does with his life has eternal significance for that same individual, not only for the Jewish people as a whole. 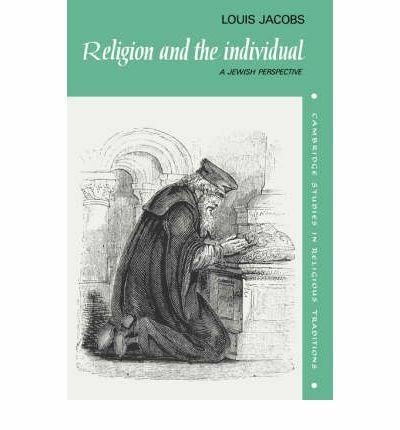 Through a careful analysis of the primary texts, Jacobs conducts a thorough survey of some of the most important instances where the individual is discussed in the Jewish religious tradition. His aim is not to elevate individualism at the expense of the Jewish community, but to show that Judaism pivots centrally neither on the people nor on the individual; each needs to be taken equally into account if a balanced opinion of both is to be formed. → Read reviews of Religion and the Individual here. Structure and Form in the Babylonian Talmud. Cambridge, 1991. This book attempts to uncover the basic form and structure of the Babylonian Talmud, which is a centrally important text in Jewish studies. The contribution made by Dr Jacobs to the study of the Talmud consists in his presentation of the literary principles employed in its composition, and he here presents a clear survey indicating the manner in which earlier material was reworked in order to make each component, or sugya, into a carefully structured and self-consistent unit. Jacobs compares the editors’ methods in this regard with the manner in which Shakespeare converted the variety of chronicles and source material available to him into a much more dramatic literary form, which – while preserving the kernel of the story – completely transformed its character and impact. Dr Jacobs’ study constitutes an excellent introduction to the Babylonian Talmud and to the nature of rabbinic thinking. 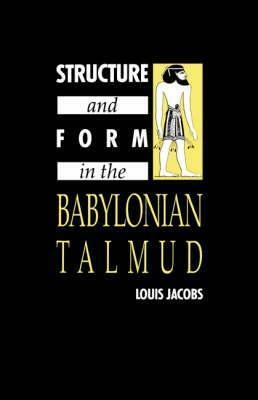 → Read reviews of Structure and Form in the Babylonian Talmud here. The Jewish Religion: A Companion. Oxford, 1995. → Read reviews of The Jewish Religion: A Companion here. ‘Ask the Rabbi’ – Questions and Answers on Judaism. London, 1999. The ‘Ask the Rabbi’ column in the Jewish Chronicle was an extremely popular weekly feature of the paper. During more than 25 years, over 1,000 lively questions and answers accumulated, of which this book is a selection arranged according to various themes. It can now be disclosed that the author of the replies was Rabbi Louis Jacobs who, without refraining from expressing his own, occasionally controversial views, presented fairly the Orthodox position as well as that of Reform and Liberal Judaism where this differed from Orthodoxy. This book is a mine of information on the Jewish religion and is also suitable for delightful browsing. → Read reviews of ‘Ask the Rabbi’ here. Beyond Reasonable Doubt. London, 1999. 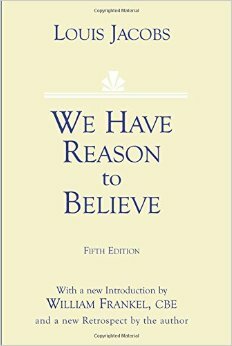 In this sequel to We Have Reason to Believe, Louis Jacobs examines afresh all the issues involved. He does so objectively but with passion, meeting the objections put forward over the past forty years by critics from the various trends within the Jewish world, both Orthodox and Reform, and inviting a new generation of readers to follow the argument and make up their own minds. → Read reviews of Beyond Reasonable Doubt here. Jewish Preaching: Homilies and Sermons. London, 2004. Rabbi Jacobs, with sixty years’ experience of pulpit work to his credit, provides a number of homilies for each weekly portion of the modern sermon and for the chapters of Ethics of the Fathers. The text for the modern sermon is usually the sidra, the weekly portion, or, in the summer months the Talmudic book known universally as Ethics of the Fathers. Among the sermonic themes are contemporary problems, the religious and ethical needs of the individual, and, of course, the impact of the Holocaust and the State of Israel. → Read reviews of Jewish Preaching here. 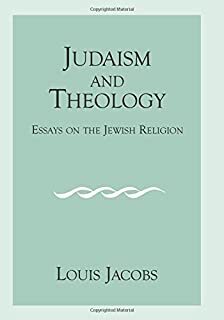 Judaism and Theology: Essays on the Jewish Religion. London, 2005. Addresses some of the most burning questions but also provides surveys of contemporary Jewish religious life in the various communities and of the attitudes of Jewish thinkers to other religious faiths. For the first time a comprehensive account of Halakhic attitudes towards Christianity is presented. The differences in Jewish mystical thought and that of Christianity and other faiths are studied, along with the Jewish view of the relationship of faith to tradition compared with that of other religions. → Read reviews of Judaism and Theology here. Rabbinic Thought in the Talmud. London, 2005. Provides four detailed understandings of the nature and scope of the Babylonian Talmud, outlining the state-of-the-art studies of the subject as well as some problems still awaiting solution, such as who were the actual editors of the Bavli and how they went about their work. This is followed by seven comprehensive examinations of the Talmudic method as seen from the complete unit of the Talmud, the Sugya. The concluding section of the books deals with Rabbinics, the works of post-Talmudic scholars who sought to bring the Talmudic discussions to life in the Jewish community. → Read reviews of Rabbinic Thought in the Talmud here. Their Heads in Heaven: Unfamiliar Aspects of Hasidism. London, 2005. Sheds light on obscure corners of the Hasidic movement and the lives of the Rebbes. After a brief account of the history and rise of Hasidism in the eighteenth century to its restoration in the New World after the Holocaust, novel developments, some of them startling, are examined. The book surveys the whole question of the relationship of the Rebbe to his disciples, showing that it was not always beneficial. As a fascinating essay in the book demonstrates, the holy man could be a source of numinous power, bringing danger as well as goodwill. → Read reviews of Their Heads in Heaven here. 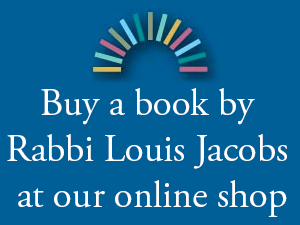 CLICK HERE for reviews of other pieces and publications by Louis Jacobs.